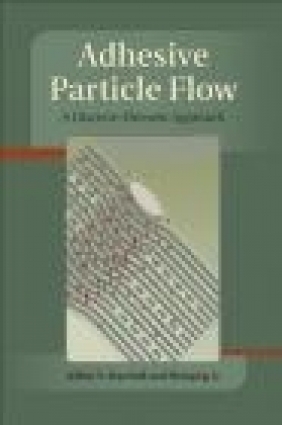 Offering a comprehensive treatment of adhesive particle flows, this book adopts a particle-level approach oriented toward directly simulating the various fluid, electric field, collision, and adhesion forces and torques acting on the particles, within the framework of a discrete-element model. It is ideal for professionals and graduate students working in engineering and atmospheric and condensed matter physics, materials science, environmental science, and other disciplines where particulate flows have a significant role. The presentation is applicable to a wide range of flow fields, including aerosols, colloids, fluidized beds, and granular flows. It describes both physical models of the various forces and torques on the particles as well as practical aspects necessary for efficient implementation of these models in a computational framework.1. Introduction; 2. Modeling viewpoints and approaches; 3. Contact mechanics without adhesion; 4. Adhesion forces; 5. Fluid forces on particles; 6. Particle dispersion in turbulent flows; 7. Ellipsoidal particles; 8. Particle interactions with electric and magnetic fields; 9. Nanoscale particle dynamics; 10. Computer implementation and data analysis; 11. Applications.